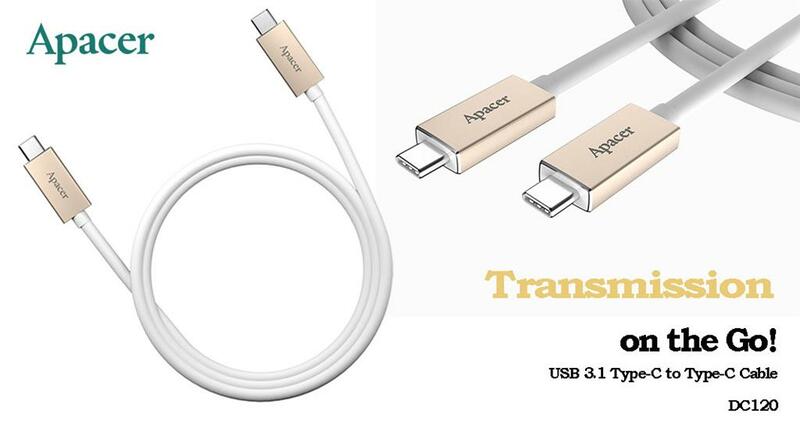 Apacer DC120 USB 3.1 Type-C to Type-C Cable - White, Retail Box, No Warranty. The advanced oxygen-free copper wire supports 3A voltage to promptly charge up power to a device. 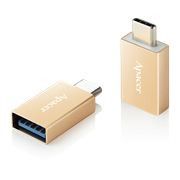 Built-in with smart IC chip, the USB 3.1 Gen1 transfers data at high speed, up to 5Gb/s. -Chicly constructed with a scratch-resistant surface. -The integrated SR ensures the sturdiness of the structure for a more optimal product life. The environmental-friendly TPE is a strong and non-toxic material that offers great tenacity and good quality of transmission. 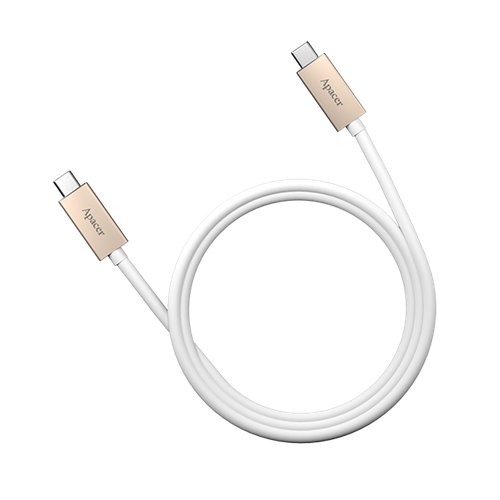 Manhattan SuperSpeed USB Type-C Cables easily connect USB type-C peripherals and accessories with type-C device ports. 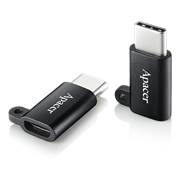 Ideal for use with any USB type-C, plug-and-play devices. Manhattan SuperSpeed USB Type-C Cables support data transfer rates up to 10 Gbps on Windows and Mac systems for fast, reliable transmissions and current up to 3 amps. Nickel-plated contacts, shielding and fully molded boots with strain relief help provide dependable connections, maximum conductivity and minimal data loss with reduced EMI interference. Apacer DC150 Type-C to 3.5mm Audio Cable - Gold, Retail Box, No Warranty. 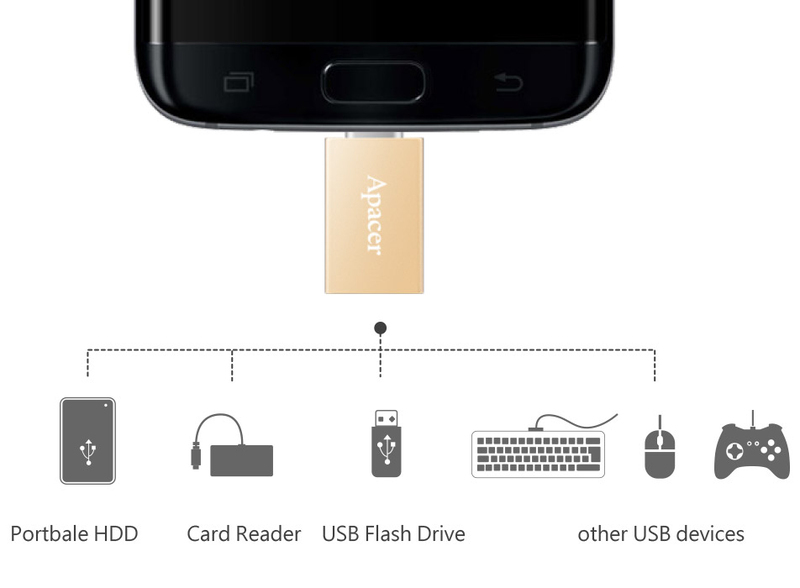 Created especially for Type-C devices, especially mobile phones without a headphone jack. Effective noise reduction with the nickel-plated connectors. The environmental-friendly TPE is a strong material that offers great tenacity that can withstand 50% more pull force than ordinary materials. -Scratch-resistant and sleek, with single-piece formation in aluminum alloy. 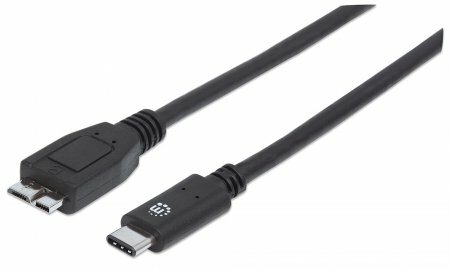 The Manhattan SuperSpeed USB 3.1 Gen2 Cable -USB Type-C Cables easily connect USB type-B peripherals and accessories with type-C device ports. Ideal for use with any USB type-B, plug-and-play devices. 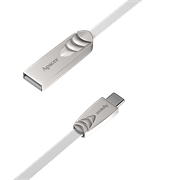 Manhattan SuperSpeed USB Type-C Cables support data transfer rates up to 10 Gbps on Windows and Mac systems for fast, reliable transmissions and current up to 3 amps. Nickel-plated contacts, shielding and fully moulded boots with strain relief help provide dependable connections, maximum conductivity and minimal data loss with reduced EMI interference. Apacer DC210 Lightning to USB 2.0 Cable, Retail Box, No Warranty. Fully compatible with iOS products, bringing the best protection to your mobile devices during power charging and data transmission. 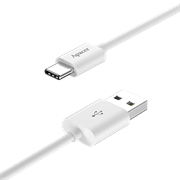 -Lightning Connector: Built with the standard 8-pin reversible chipset, for insertion in either direction. environmentally friendly non toxic material that offers flexibility and promotes transmission quality. With our strict standards, the product life span is above the industry average. 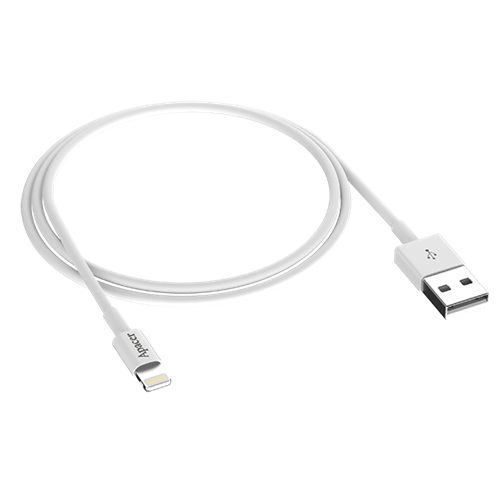 The 1.0-meter cable in white is a perfect match to your Apple devices, keeping the look neat and chic. 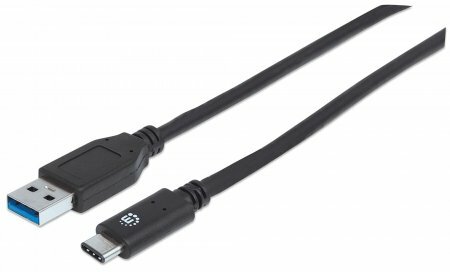 The Manhattan SuperSpeed USB 3.1 Gen2 Cable-Type-C Male / Type-A Male, 1 m (3 ft.), 3A, USB Type-C Cables easily connect USB type-A peripherals and accessories with type-C device ports. Ideal for use with any USB type-A, plug-and-play devices. 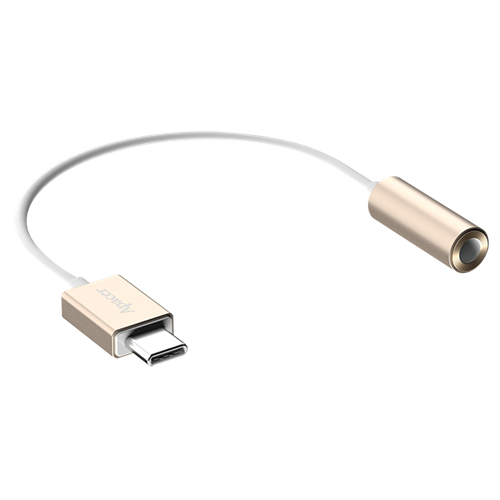 Manhattan SuperSpeed USB Type-C Cables support data transfer rates up to 10 Gbps on Windows and Mac systems for fast, reliable transmissions and current up to 3 amps. Nickel-plated contacts, shielding and fully moulded boots with strain relief help provide dependable connections, maximum conductivity and minimal data loss with reduced EMI interference. 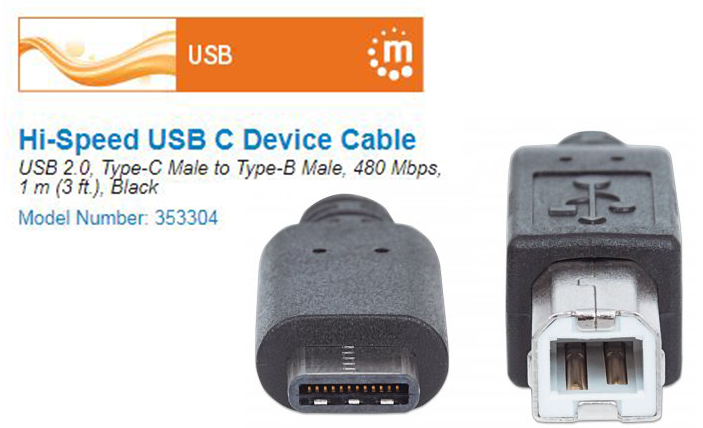 The Manhattan SuperSpeed USB 3.1 Gen2 Cable- USB Type-C Male / Micro-B Male, 3A, cables easily connect USB Micro-B peripherals and accessories with type-C device ports. Ideal for use with any USB Micro-B, plug-and-play devices, Manhattan SuperSpeed USB Type-C Cables support data transfer rates up to 10 Gbps on Windows and Mac systems for fast, reliable transmissions and current up to 3 amps. Nickel-plated contacts, shielding and fully moulded boots with strain relief help provide dependable connections, maximum conductivity and minimal data loss with reduced EMI interference. Manhattan Hi-Speed USB C Device Cable - USB 2.0, Type-C Male to Type-B Male, 480 Mbps, 1 m (3 ft.), Black, Retail Box, Limited Lifetime Warranty. 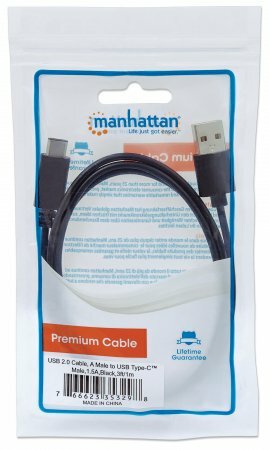 Manhattan Hi-Speed USB C Cables easily connect USB peripherals and accessories with desktop and notebook computers. Manhattan Hi-Speed USB C Cables support data transfer rates up to 480 Mbps on Windows and Mac systems for fast, reliable transmissions. Nickel-plated contacts, shielding and fully molded boots with strain relief help provide dependable connections, maximum conductivity and minimal data loss with reduced EMI interference. 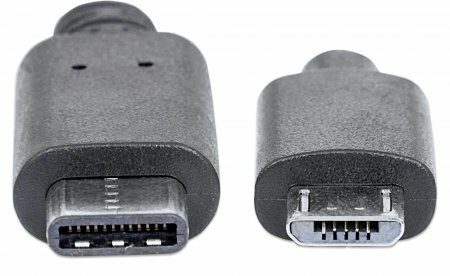 Manhattan Hi-Speed USB C Cables easily connect USB C peripherals and accessories with desktop and notebook computers. maximum conductivity and minimal data loss with reduced EMI interference. Built for Type-C devices and supports Android System. The Micro USB interface can be directly connected to other USB Type-A devices with a cable for more flexible uses. A strap hole is designed to allow convenience; just attach to your favorite personal items. The advanced oxygen-free copper wire supports to promptly charge up power to a device. -The brand new ABS is specially engineered towithstand high temperature and impact. -The integrated SR structure enables optimaluse and longer life. 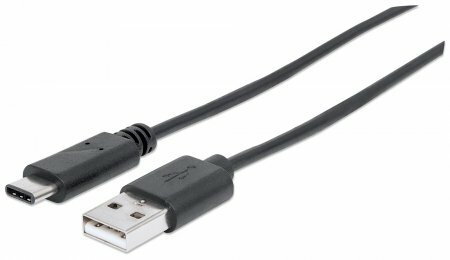 Manhattan Hi-Speed USB C Cables easily connect USB C peripherals and accessories with desktop and notebook computers. Ideal for use with any USB C, plug-and-play devices, Manhattan Hi-Speed USB C Cables support data transfer rates up to 480 Mbps on Windows and Mac systems for fast, reliable transmissions. Nickel-plated contacts, shielding and fully molded boots with strain relief help provide dependable connections, maximum conductivity and minimal data loss with reduced EMI interference. Apacer DC112 Type-C to USB 2.0 Cable, Retail Box, No Warranty. The TPE material is environmental and has excellent tenacity to ensure transmission quality.